Why is Upwork Called Upwork? Over the last few years, the face of the present-day workforce has been changing. It hasn’t just been getting younger, it has also been shifting from a very traditional and longstanding eight-hour day in the office to one with flexible hours and remote locations. The expanse of the internet undoubtedly has had much to do with this changing tide, and the proof is in Upwork. 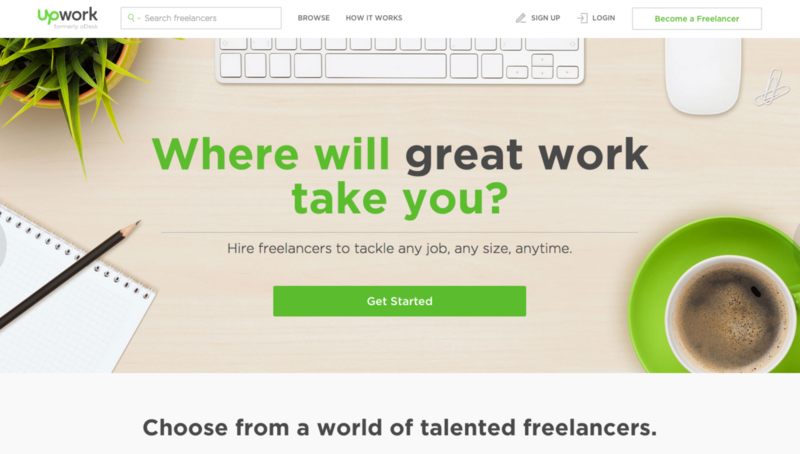 Upwork is a large digital network of both freelancers and employers looking to connect around the world to complete specific jobs. Despite its worldwide presence, Upwork is headquartered in Mountain View, CA by CEO Stephane Kasriel, and although it was founded only in 2015, its history goes back much further than that. 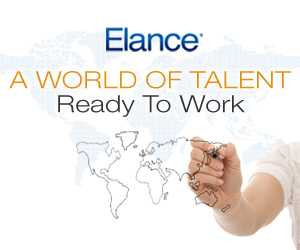 It actually began with Elance in 1999, when the web first enabled us to find employment and employers beyond our local vicinities. It focused on the technology needed to support virtual and remote work and was named after a Harvard Business Review article titled The Dawn of the E-Lance Economy. The idea behind both the company and the article is that employees were moving toward electronically-driven freelance work, essentially becoming electronically connected freelancers—e-lancers. Meanwhile, in 2003, two friends in Greece and the U.S. were eager to work together regardless of the physical distance that separated them. According to Mixergy, the friends developed a platform just to make it happen. They called it oDesk, as an abbreviation of online desk, and it soon became a marketplace for jobs near and far. Elance and oDesk grew quite successfully as separate entities until 2013 when the two sites drew up a merger. Many users of the sites were upset by the news, especially those who saw Elance as slightly superior in quality and compensation in comparison to oDesk’s offerings. In response, they stressed separate sites would exist under the same ownership at the time. Why is it called Upwork? SEE ALSO: Why is WordPress Called WordPress? Unfortunately its overwhelming positivity was not met with the same sentiment. Users reported bugs and slow speeds for which Kasriel eventually issued an apology. Still, Upwork is on a mission toward growth, allowing Elance to remain a tributary of Upwork while oDesk has been fully converted. For now, the sites stand as exactly what they represent – two e-lancers in different places working together via the world wide web.